What’s your strategy to generate new business? Are prospective clients flocking to your door? Some companies are fortunate to have a steady stream of targeted new business enquiries that ensure that their pipeline is always full. Sadly, that’s not the experience for every business owner and sales manager. We all operate in a hugely competitive environment where there are lots of suppliers of similar services all chasing the same targets. So, why should prospects buy from you as opposed to your competitors? That’s assuming they find you in the first place. We know you’re good at what you do, or so you say, but many prospects have already got a supplier that does what you do. You may well have a lovely website and shiny brochures. Prospects understand you’ve done good work for similar companies. But why should they care about any of that when what you’re offering just isn’t a priority right now? Or they may have a supplier already with whom they’re not unhappy. Any of this sound familiar? If it doesn’t, it should even if prospective clients don’t explicitly say any of this. It’s contrived we know, but the essence of what we’re saying is something that businesses that aspire to generate new business needs to grasp. Not only do many companies choose the wrong routes to reach their target market, when prospects ultimately reach their door sellers turn them off with stuff that is of little or no genuine interest. In most cases, there isn’t a quick fix for new business development. There are lots of factors that impact upon successful b2b lead generation. And, if you want to generate new business, the sooner you work out what you need to do, the sooner you’ll gain success. The first thing we all need to recognise is that whilst the number of businesses across the UK that are looking for your type of services at any one time is probably quite large, identifying them and locating them accurately and at that right time isn’t easy. That means you either need to encourage them to seek your business out or you need to go and find them. Neither of these tasks is simple. But let’s look briefly at some of the many options. Before you start, you need to consider how attractive you are to prospective customers. The world has changed and lead generation has changed out of all recognition. You simply can’t rely on a bunch of brochures and a basic website to do the job any longer. If your all round online presence isn’t credible and doesn’t stand up to competitive scrutiny, you’ll never make new supplier shortlists. So, let’s assume you’ve got your online presence sorted out. What then? How are prospects actually going to find you? Let’s look at this from both an inbound and outbound lead generation perspective. These are indicative rather than exhaustive and you should take time to evaluate all of your options and how you can best target the buyers you seek. And don’t forget to put a testimonial and / or case study on your website and push this through LinkedIn and other social media (see below). Search enquiries– Another great source of leads not least since prospects that make inbound enquiries coming from search are clearly in the market for your services. But is this happening regularly for your business? Inbound leads from search are much more difficult to gain for many reasons. The marketplace is vastly competitive for most businesses and there’s only one Page 1 on Google. If your website is weak in terms of content compared to competitors, search engines won’t reference you and rank your business highly. Equally, even if visitors hit your site directly you’ll be dismissed quickly if they see a bare site and your content isn’t up to scratch. Social & Content – Directly connected to the previous point, success in terms enquiries through social media be challenging unless you devote time and energy and focus your efforts. If your aim is to drive traffic to your site, you need sufficient social activity to generate enough ‘eyeballs’ for your appropriate and genuinely interesting content. Otherwise, why would people look at it or share it? We’re big advocates of creating content and sharing this across relevant social platforms. The strategy has worked tremendously well for our business and we’ve won some great clients by adopting that approach over the past 3-4 years. We produce regular content and distribute this across Google+, LinkedIn, Facebook and Twitter. As a consequence, we get regular enquiries through our website and have had excellent leads from LinkedIn. But it’s certainly not a quick fix and this is an area where you need to devote significant time and energy if you want it to build and to succeed in generating inbound leads. But, in terms of long-term ROI, it’s a winner! Advertising – This isn’t the blog to discuss all of the various facets and sources of advertising whether that’s posters, TV, Radio, Pay-per-Click, online banner ads, Facebook, Twitter or LinkedIn ads or some other online channel. You could argue that this route is more outbound lead generation than inbound but the aim is to drive traffic and / or enquiries to you. Of course, if you can identify places that your clients congregate on and offline, you’re in a good position to reach out to them through targeted advertising. But, advertising can be expensive and wastage can be high. The alternative to driving inbound leads is targeting prospects through outbound marketing. Once again, there’s no quick fix and the performance of most outbound marketing tools improves over time as you refine the approach and targeting. However, with outbound at least you don’t have to wait until prospects come to you. You target them. So, let’s look briefly at some of the more obvious options. Telemarketing – We always stress to clients that two things matter when it comes to effective telemarketing. These are specifically the message and the audience. The same can be said of most marketing methods. 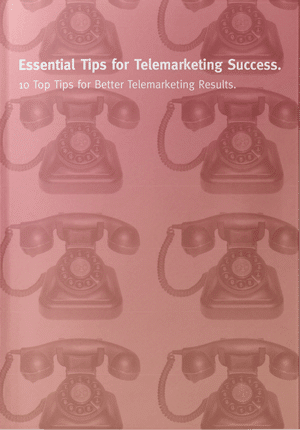 But telemarketing lives or dies by the ability to reach the right decision-makers. It can be extremely effective if you have a compelling message, story or proposition for the right person. Where the value of sale is high, human interaction is essential in the buying process. So, it’s worth considering telemarketing where you can show positive ROI and especially where you can identify the right targets. There’s less wastage and the impact can be high if you match the right person with something they need. And, it’s less likely to end up in a competitive pitch if they haven’t started a new supplier search. Email marketing can be effective especially where you’ve built up a solid opted-in database through online sign ups etc. In those cases, email marketing is targeted and should be relevant for recipients. If you get the content right, it should encourage opens and click throughs to your website that supports your SEO. You can of course buy a list and send out cold emails. The challenges here are many especially in b2b marketing. Personal emails are key and that’s much harder if the decision maker for whom you’re looking is not available on traditional direct marketing lists. Maybe a data build is needed to gather the right contacts and emails. And then it’s all about the call to action to encourage engagement. Don’t forget that you can combine email with telemarketing so that you follow up opens and click throughs as a priority to target those that are most likely to be in the market. Some people might say that direct mail is passé. However, in some ways with the increased clutter online, well-crafted and targeted direct mail can be extremely effective. Once again, it’s about targeting. Are the recipients likely to receive a lot of mail? What would they respond to? Direct Mail pieces can be expensive but also impactful. We had a client that sent a video mailer to schools and generated 2 enquiries straight from the mailer with no follow-up. At £23 each, for the type of business, that was good going on a per enquiry basis. You can once again magnify the effectiveness and ROI by making a call a few days after the mailer lands. I’m a big fan of events. The cost can be high but the audience should be relevant and, if your stand is well placed and attractive, you can reach the right people. We’ve recently had clients who’ve generated between 100-300 good leads from the event. These can either be followed up by internal the team or outsourced to an agency like GSA. The key is to follow up quickly to avoid them going cold. In an ideal world, you want your target audience to see your business in any number of places. In marketing, we talk about customer touch points. The more prospects happen upon your business the better, especially when they’re in buying mode. Some methods of promotion are direct and some indirect. There are also several tools on the market that allow you to bridge the two where you can identify the companies visiting your website that can be followed up by calls and email. PR can be a worthwhile solution to bolster credibility in target sectors and native advertising (a bridge between editorial and advertising) is increasingly effective for some businesses particularly those in the b2c arena. It’s a tough decision not least due to the many solutions out there. Small businesses work hard for their profitability. What’s more, mistakes are costly in terms of time and money. Nevertheless, Einstein is attributed with the saying that insanity is doing the same thing over and over again and expecting different results. 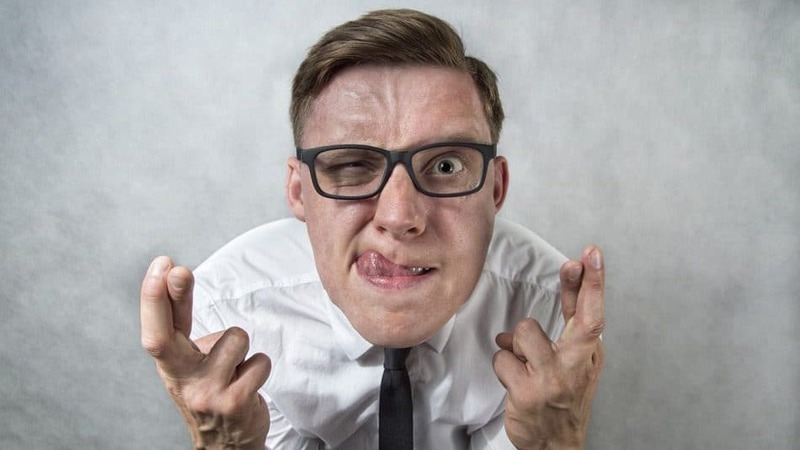 If that’s what’s happening to you and the leads aren’t coming in now, it’s time to change your approach and stop waiting for lead generation miracles. Selling Tips for Small Businesses – The Best Way to Sell is not to Sell!